Winter is all about familiar sights, sounds, smells, and tastes. 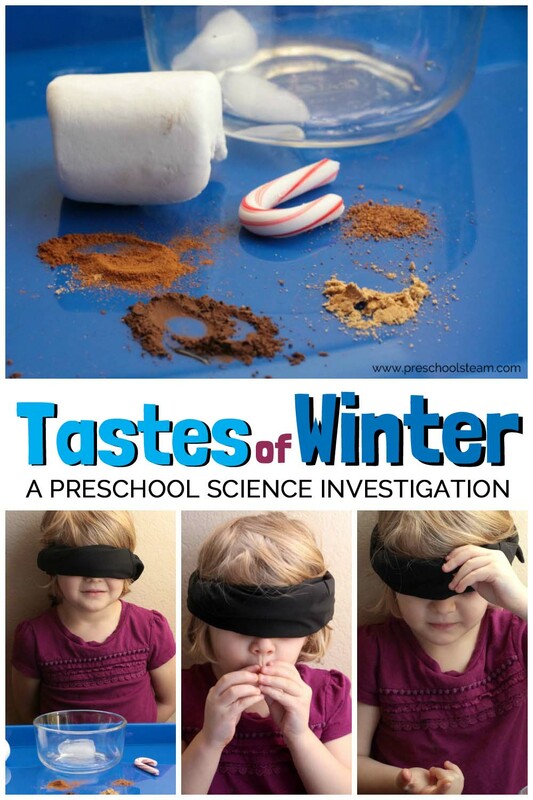 Preschoolers will learn about the sense of taste in this tastes of winter sense of taste activity. 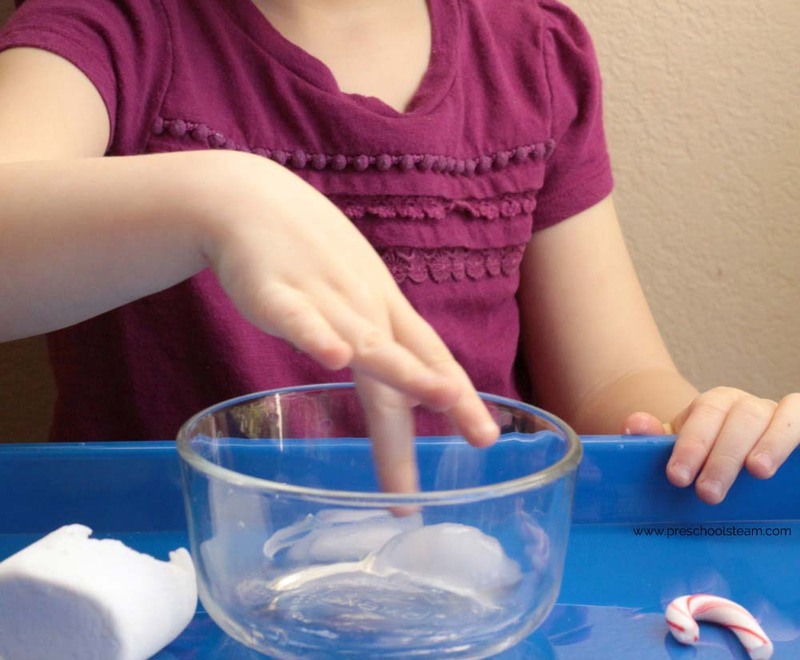 In this simple Science activity, preschoolers learn the basics of the sense of taste and what common tastes are found in winter. 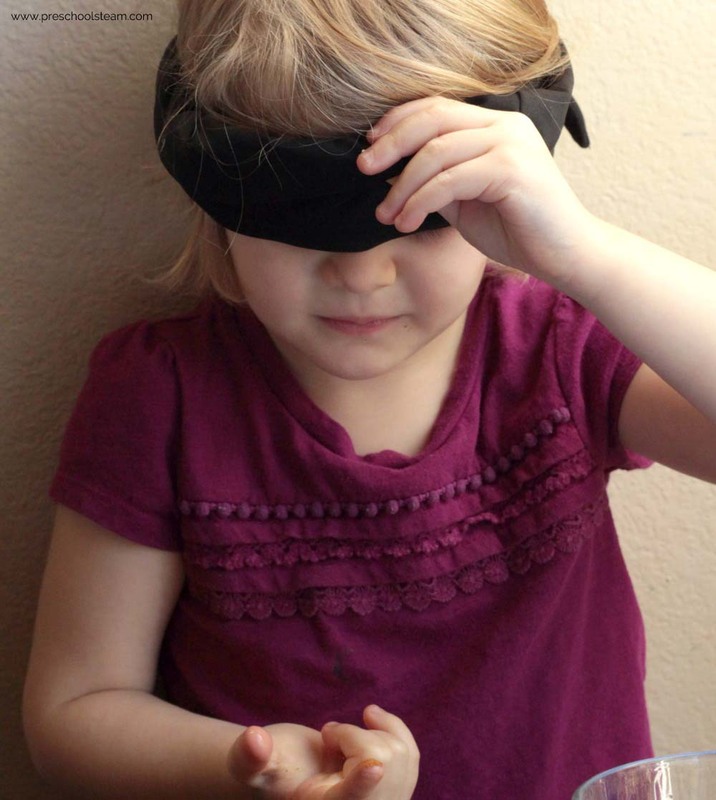 The blindfold will heighten their sense of taste and help them isolate the sensation of taste during this activity. 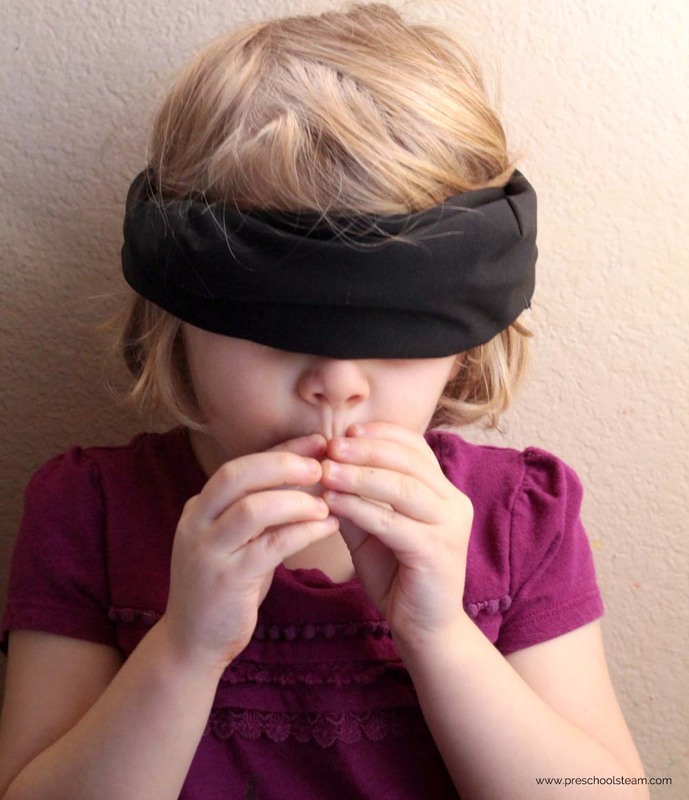 Objective: To learn about the sense of taste, if taste is heightened when other senses are dulled, and to see if kids can recognize tastes without seeing them in context. 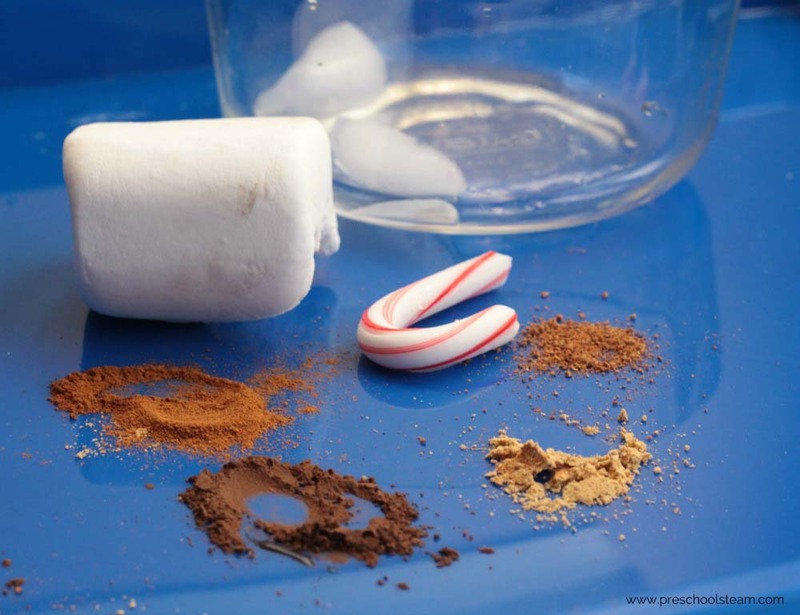 Materials: Large play tray, taste of winter (we used a marshmallow, ice, ginger, cinnamon, cocoa, a peppermint, and nutmeg), a blindfold for each child. Ask: Can you identify flavors by taste alone? What happens to your sense of taste when you can’t see? 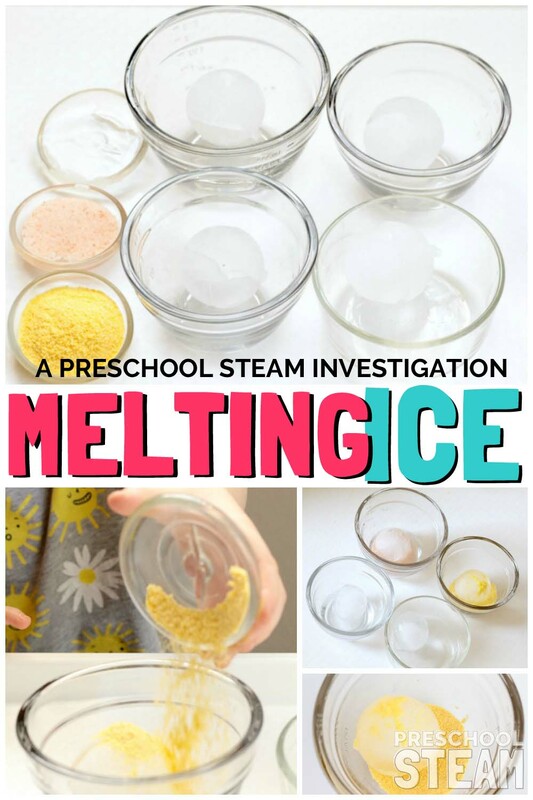 Learn: Preschoolers will learn how to identify the flavors of winter by taste alone. They will also discover if their sense of taste is heightened while blindfolded. Set a small amount of each flavor on a play tray. 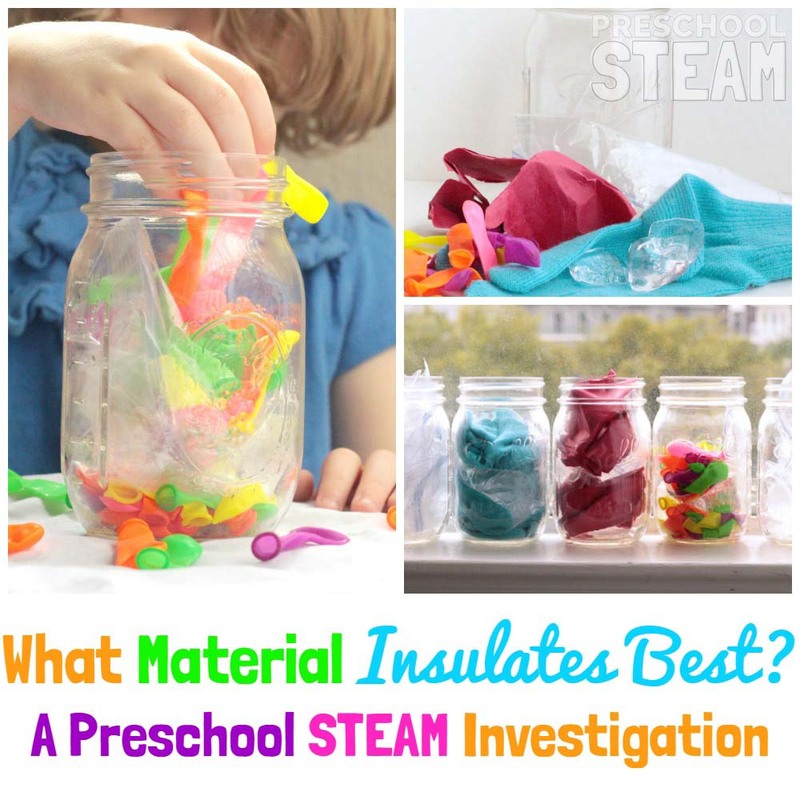 You’ll want to make a tasting pile for each child in class to avoid cross-contamination of germs. Each child will also need a blindfold. Blindfold each child before starting the tasting procedure. 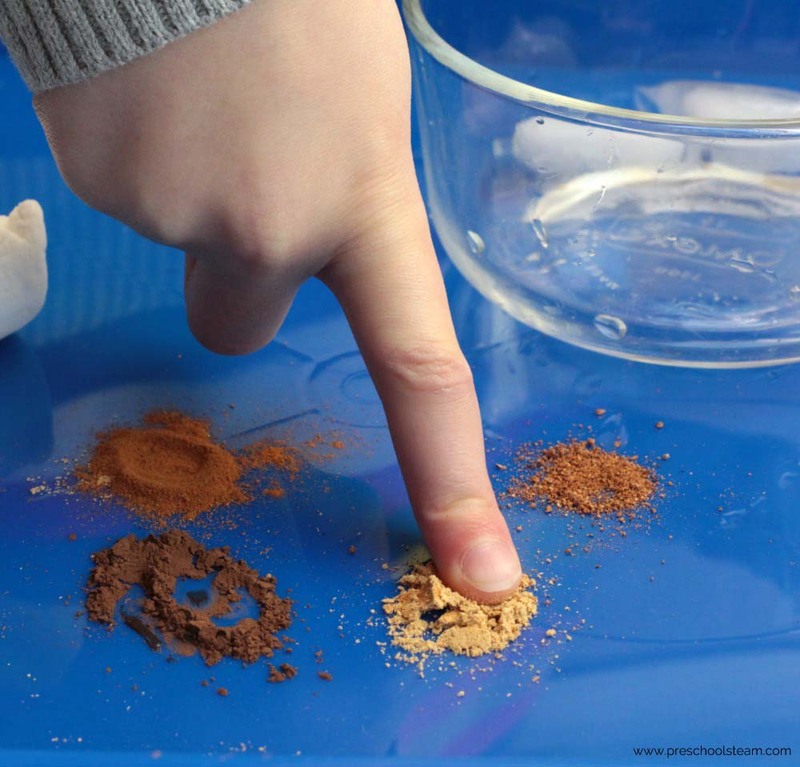 Instruct the kids to dip their finger in each pile and see if they can identify the taste. Ask questions like, is this flavor bitter, sweet, or sour? What does this flavor remind you of? How is this taste used in winter? 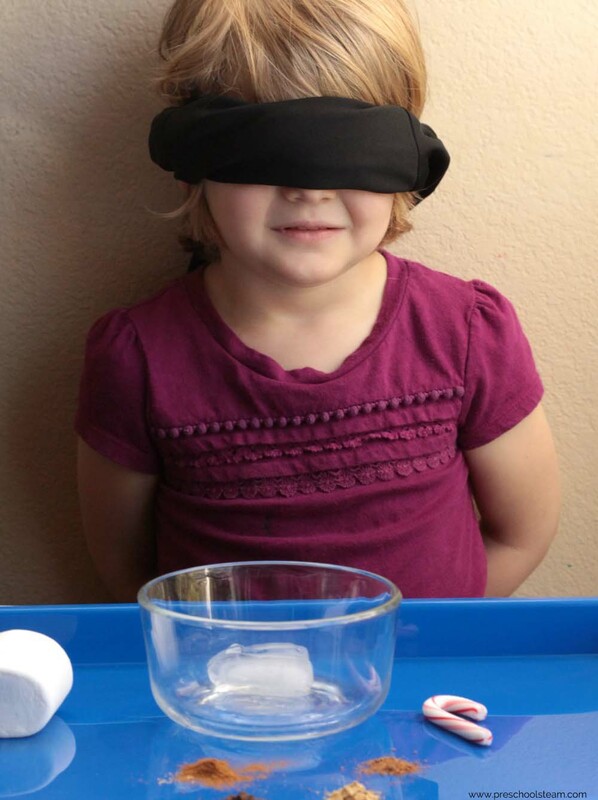 Ask the kids to try each flavor both blindfolded and unblindfolded. What do they notice is different about the flavors when they are blindfolded versus when they can see? 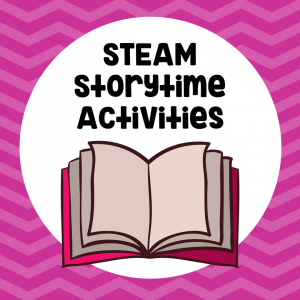 Make it a STEAM Investigation! 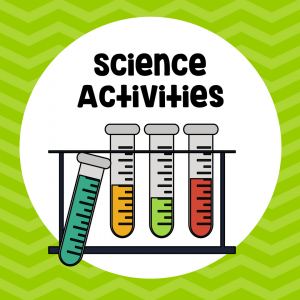 Science: This activity explores the sense of taste. 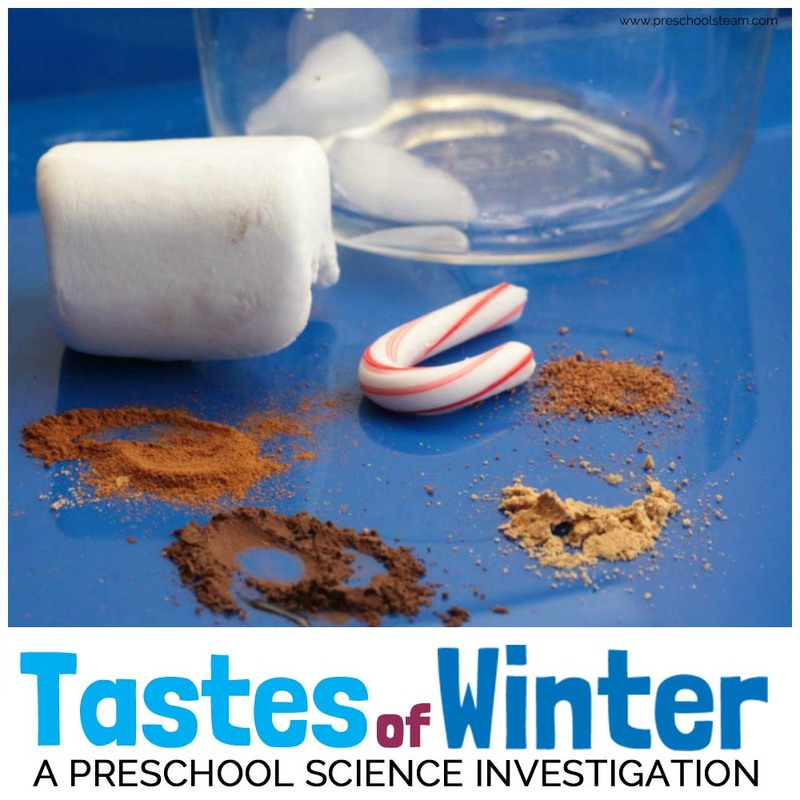 Children will explore the flavors of winter and learn about the taste of winter and the difference between bitter, sour, and sweet flavors. Technology: Record student reactions by taking digital pictures as they try different flavors. What type of face do we make when we eat something sour or something sweet? Art: Students can draw a picture of their expression after trying each flavor.